For San Francisco it is all about feelings. 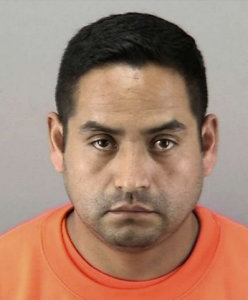 The suspect, Orlando Vilchez Lazo, 36, is being held in jail in San Francisco in lieu of $4.2 million bail and faces life in prison in connection with the rapes of four women who got into his car believing him to be a ride-hail driver, police said. Immigration officials said Lazo was a “citizen of Peru illegally present in the U.S.” and that it had “lodged a detainer,” or hold, for Lazo on Friday with the San Francisco County Jail. The ICE statement referred to the San Francisco sanctuary and due-process ordinances that generally prohibit city employees from assisting ICE agents, limit notice to ICE about a person’s release from jail and prohibit cooperation with ICE holds.